A typical Mediterranean diet mainly comprises of vegetables, fruits, legumes, beans and whole grain products. It is primarily plant based, but includes moderate amounts of fish, white meat and some dairy produce as well. In this article, you will find all about main health benefits of the Mediterranean diet. Extra virgin olive oil, a good monounsaturated fat, is mostly used in the preparation of Mediterranean diet foods. However, polyunsaturated fats are also consumed in the form of nuts, seeds and occasional oily fish. It inherently curbs sugar and red meat. Read here to learn: Health benefits the Mediterranean diet. To put it briefly, several research studies have shown that the Mediterranean eating style is closely associated with healthy heart, sharper mind and longer life. Overall it reduces risk of frailty in seniors. Frailty is a broader term and includes a number of age-related health problems such as increased risk of falls, fractures, depleted muscle mass, and dementia. And good news for you is: it’s never too late to reap the Mediterranean diet benefits! Research has shown that the traditional Mediterranean diet can considerably cut down the risk of cardiovascular disease, including coronary heart disease, myocardial infarction and heart attack. This is probably because of the Mediterranean diet’s positive effects in reducing the cardiovascular associated risk factors, including high blood pressure, triglycerides, and LDL (bad cholesterol). 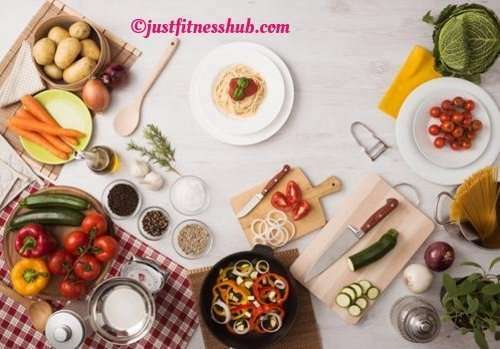 Many studies have shown that a Mediterranean diet has beneficial effect on diabetes, so much so that it can be useful in preventing type 2 diabetes by helping to reduce blood glucose levels while improving HDL, the good cholesterol. In a study the effects of Mediterranean diet were compared with those of a low-fat diet. It was shown that the participants having type 2 diabetes and who were on the Mediterranean diet fared much better; fewer participants required treatment, and they experienced improved blood sugar levels. Rich in healthy fats that are essentially needed for the brain, the Mediterranean diet can be beneficial for enhancing brainpower and warding off cognitive decline and dementia. In one study, researchers found that older adults who consumed Mediterranean-style diet were 35 percent more likely to score better on memory and attention tests than those who didn’t consume the diet. They were also in all probability more likely to be active and happier. This all is possible because the Mediterranean diet is full of powerful nutrients like omega-3 fatty acids and antioxidants. A regular consumption of Mediterranean diet can significantly improve bone mineral density and muscle mass. In one study it was shown that certain compounds present in olive oil might help conserve bone density by enhancing the proliferation and maturation of bone cells. In another study it was observed that sticking to dietary patterns of the Mediterranean diet might help in averting osteoporosis. It has been shown that you can decrease risk of depression by following a diet containing high amounts vegetables, fruit, whole grain (in unprocessed form, ideally), seeds, nuts, low-fat dairy, olive oil, antioxidants, low-fat dairy along with some fish and Greek yogurt – these are all what a typical Mediterranean diet comprises of. On the other hand a diet consisting of high consumption of red and/or processed meat, refined grains, high-fat dairy products, animal fats, butter, things made with added sugars and sweets increases your risk of depression – these are all what a typical Mediterranean diet excludes. So, you can see that the Mediterranean diet meets the dietary criterion that prevents depression. To prove the point, a study conducted in 2013 showed that the participants who consumed a Mediterranean diet most regularly had a 98.6 percent lower risk of suffering from depression as compared to the people who followed it less closely. Closely following a Mediterranean diet is linked with a lower risk of cancer, Parkinson’s and Alzheimer’s diseases. A close analysis and review of studies showed that overall, individuals who regularly consumed the Mediterranean diet – the most experienced a 13 percent lower rate of cancer mortality than those who adhere to the said diet pattern the least. Moreover, the women who adhered to a Mediterranean diet style along with some extra-virgin olive oil and mixed nuts may have a significantly lesser risk of breast cancer. Looking into the various health benefits, these days most if not all major scientific organizations advise healthy adults to follow a pattern of eating like that of the Mediterranean diet for protection against major chronic diseases. We encourage you to adopt the Mediterranean diet style, and live a long, active and healthy life! What To Eat For Breakfast When You Are On Mediterranean Diet?